36h female axle with 3/8" bolts 7.5 oz Madera's front hub market is sleek, smooth ..
Madera Helm Spline Drive Celestial SprocketAmazing Limited Edition Celestial colour way available no..
U.S made CNC machined aluminum stem Made to replicate the contoured design/aesthetic of the M..
MADERA Signature LOGO PIVOTAL SEAT (made by Profile Racing). 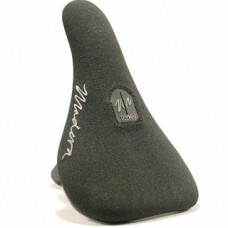 -Kevlar base -Slim/Medium pa.. The Madera Signet Guard is the first Guard Sprocket that can adapt to just about any type of cran.. Available to adapt your Sabre or Madera Signet Guard sprockets to either: -19mm Bolt On -19mm.. 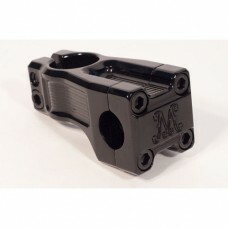 This U.S made CNC machined aluminum stem comes in two versions; 48mm reach and 53mm reach, with..